Listening to an enormous amount of music every year and critiquing it has an almost inevitable side effect. I know the feeling myself: why didn’t the artists, whose work it is your self-afforded liberty to pass judgment on, do something differently? The music would surely sound better if you had written it — and if you are able to play an instrument, eventually you might be overcome by a desire actually to try. Whether it was for such reasons that Alexander Kolby — one of the operators of the Danish metal blog Blastbeast.dk — decided to team up with his friends, bassist Yannick Bünger Kristensen and drummer Nicolai Lomholt to form Dirt Forge, or if he was simply inspired by his favourite artists to give it a shot, only he would know. But the trio’s first demo “Ratcatchers” certainly wears its influences on the sleeve. Shifting between slow burning repetitions and eruptions of vitriol, Dirt Forge mimics above all the signature style of High on Fire, while the raw tone, occasional faster pace and deployment of gang yells by guest vocalists Frederik Emborg Pedersen (EVRA) and Lars Pontoppidan (Barricade) has its roots in the repertoire of Black Tusk. As early as the three musicians are in their career though, it would be unjust to hold Dirt Forge up against the standard of those two outfits; they are still very much in the process of defining their identity. That explains the archetypical nature of the riff that opens the proceedings at the beginning of “Eternal Black Name”. Its slow cascading up and down the fretboard is a technique heard on virtually every stoner doom record today, and although a dynamic shift into a more energetic drive occurs halfway, there is not enough variety in the riffs to push the song past the average threshold. It sounds acceptable, but never ambitious or daring. A rather more engaging, dirty groove rolls out from the get-go in the title track — it is the best riff the EP has to offer — revelling in the southern fried, no frills intensity of Black Tusk and Your Highness and practically begging for a guitar solo, which sadly never arrives. In general, variety is at a premium across the demo. 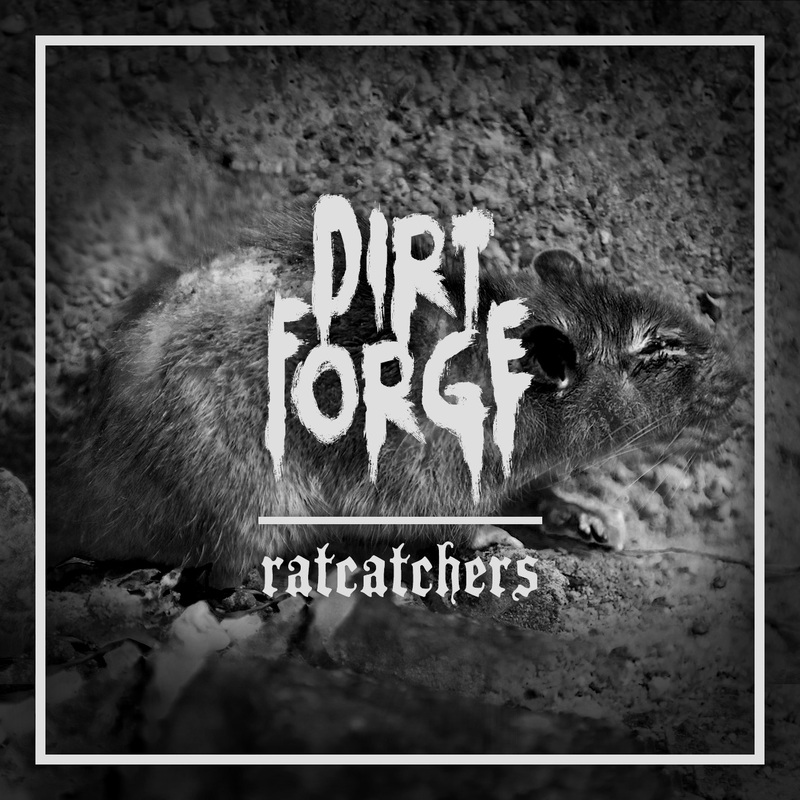 Dirt Forge are obviously capable of churning out catchy riffs, but they restrain themselves from fully unfolding; each song seems to place full trust in a single specimen and as a result, the soundscape feels extremely rigid. That Kolby’s muscular bellowing requires a companion in the higher register is also made clear by the cameos in the explosive “Prison Cell”, in which the guests’ shouting ”Kill me again! Kill me again!” in the chorus shoulders the full responsibility for generating lasting value. Dirt Forge are at their most appealing in the fourth and final piece “Hide from the Sun”, which clocks in past eleven minutes and packs in a more diverse assortment of instrumental work than any of the preceding songs. A slow burner, its scorching stoner riffs and even a semblance of melody sound like the product of a substance enhanced jam session and exposes Kristensen’s passion for the trudging and sedating forms of metal. Here Dirt Forge do seem to follow the groove wherever it wants to go (those paths vary from live show to live show), and as a result, “Hide from the Sun” represents their best recorded material thus far. 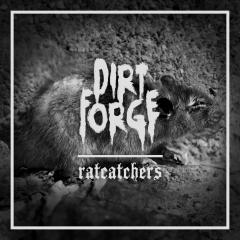 In conclusion then, while “Ratcatchers” is far from the worst demo dross sent to this webzine on a weekly basis, Dirt Forge have some distance to cover to harness their potential. 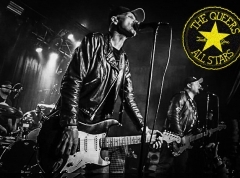 Early in their career as they are though, they will undoubtedly improve with each future release.